This morning I caught up on the teams and athletes with whom we are working, and I saw the typical broken bones, torn muscles, and poor performance throughout the league. Not all injury and poor performance can be prevented, but we believe efforts to safeguard the body and mind are essential and should be implemented. Instead of my usual commentary of the state of professional sports, I wanted to update the readers on new developments here at InsideTracker, which are based on what we have learned over the past few years. Fractures are often brought up during our conference calls with teams who are looking to reduce overuse injuries. At first, teams simply assumed that contact injuries were bad luck and that nothing could be done about them. The scientific research shows otherwise. It also reinforces that bones are live biological systems influenced by our biochemistry and training. With our teams, we look at a combination of anabolic and catabolic patterns during the season, and guide those working with the players with nutrition and monitoring strategies. An exciting area we at InsideTracker are working on is the fueling of players during a long season, and most of our success is thinking beyond macronutrients such as fats and carbohydrates. We appreciate what is on the plate of athletes, but the big picture is also about muscle fibers and the nervous system being optimized. It doesn't matter if a meal plan includes the right ratios or types of foods when the body is not in a state to properly utilized the nutrients being consumed. For years we have integrated with other data providers such as heart rate variability tools Omegawave and iThlete, to make meaningful connections in the body. In doing so, coaches and nutritionists are able to see what state players are in and thus match the right recommendations with nutrition, prescribed rest, and training. 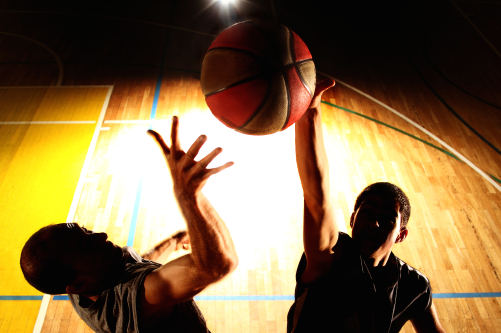 Team sports like basketball require players to play both defense and offense, taxing a player's anaerobic and aerobic systems every week. By using blood analysis and simple physiological testing in the pre-season, we can create added value for coaches and front office staff by showing the internal cost of player tracking systems. While two players may cover the same distance and workload, the internal demand with their biochemistry can be much different. Our solution with InsideTrackerLab is going deeper with existing data teams already have, and finding fresh insight with training adjustments. My recent discussion with a very passionate coach centered around how a hemoglobin score can be improved by replacing conditioning on the court with options that can stimulate a rise without breaking down red blood cells (called mechanical hemolytic anemia, a documented problem with athletes who are running more than your typical jog for fitness). Using prevention by prediction, coaches can create very simple workouts based on internal trends rather than managing a diagnosis after injury or poor performance. If you were to poll any strength and conditioning coach, he or she would want to know about testosterone, the master performance hormone. Two years ago we released our Ultimate Panel to help everyone involved with preparing athletes, not just the strength coach. The panel includes three hormones that change when athletes enjoy too much nightlife, but instead of rebelling, players became curious and captivated by seeing their own data. Every coach worries about how a fast lifestyle can slow a player down on the court, but avoiding those issues only creates distance between the player and the organization. With blood testing, a player can find the right balance between social life and training, still having a good time and also performing at a high level. Experienced coaches realize that athletes are special but still human, and moderation is better and more realistic than abstaining. A week ago during a brainstorming session, one of the challenges we see often came up: the mental load, not just the workload of an athlete. Some of our users use GPS and other tools to estimate external load of the body, but internal load is not just from training and competition. The mental stress of a professional athlete who is under the media microscope is enormous, and we are seeing changes in biochemistry from the outside of the arena and training facilities. An athlete has 24 hours to manage his mind and body, and the emotional and mental capacity to adapt is the area we are investing in, by measuring stress hormones. Team coaches are wizards of sport psychology, but without the right biomarkers to benchmark effectiveness, nobody truly knows if the mind games are just mind tricks. Each day our software continues to search and learn from research and the data we are analyzing. We are committed to helping the average person, not just the athlete, to make more intelligent decisions regarding health and human performance, by applying a data-driven methodology. Next year we hope that everyone takes advantage of the ability to prevent problems with biomarkers, instead of relying on the ancient approach of confirming a problem when it's too late.